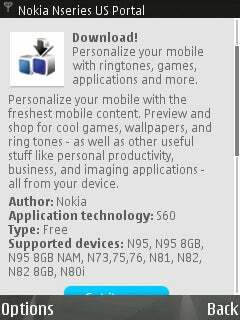 The Nokia Guide recently found on Nokia's online Nseries US Portal, an inadvertent mention of a 8GB N95 NAM (North American Model). Also listed was an 8GB N82, but it was subsequently taken off the list, while this new N95 mention was left on. Could we be seeing a refresh to the Nokia line sometime soon?